In the years since creating music/lifestyle magazine Pilerats, Simeon Rae found himself as an investor in Aunt Maggies. 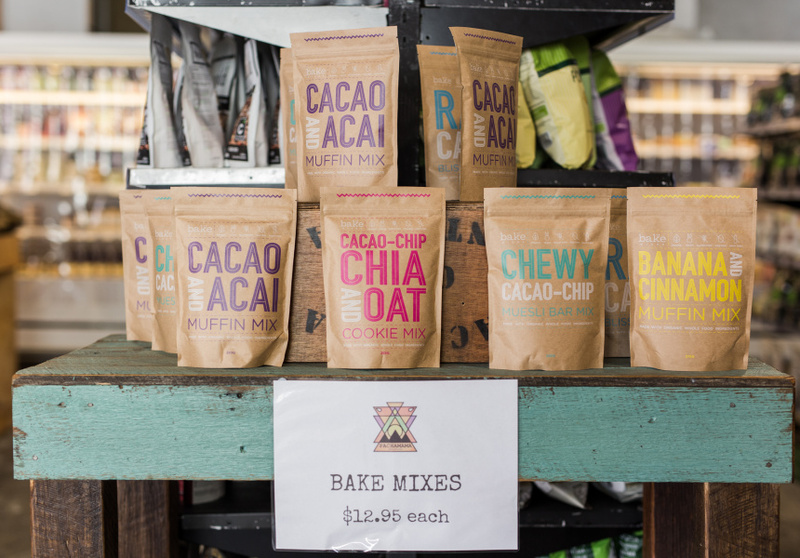 Inspired by a trip through South America, he later split to open his own wholefoods store and cafe: Pachamama. It’s named after the Mother Nature-like goddess many indigenous Andeans worship. 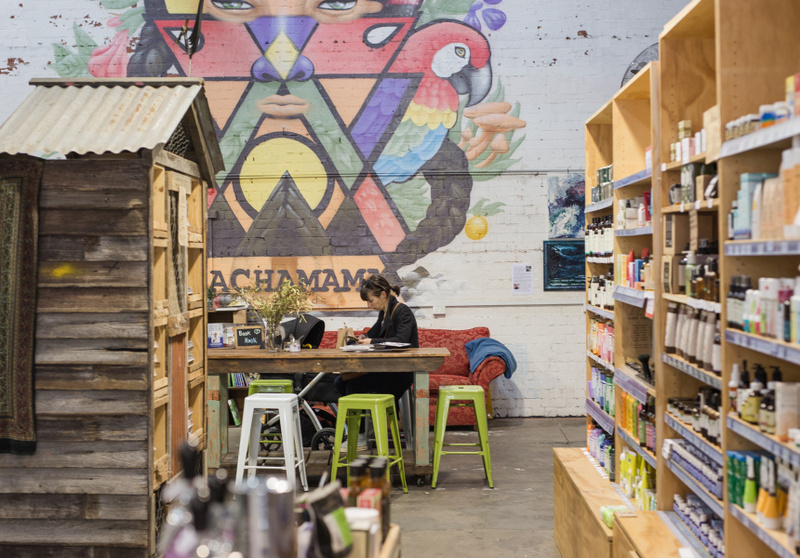 The store’s products are often stacked in big Mayan-style pyramids; and an Amazonian rainforest mural appears on the back wall, painted by local artists from Mayfield Palace. The former mechanic’s shop acts as a friendly alternative to the supermarket. It’s especially useful if you have allergies and other specific dietary needs – the staff is comprised of naturopaths and alternative medicine students ready to share their knowledge. 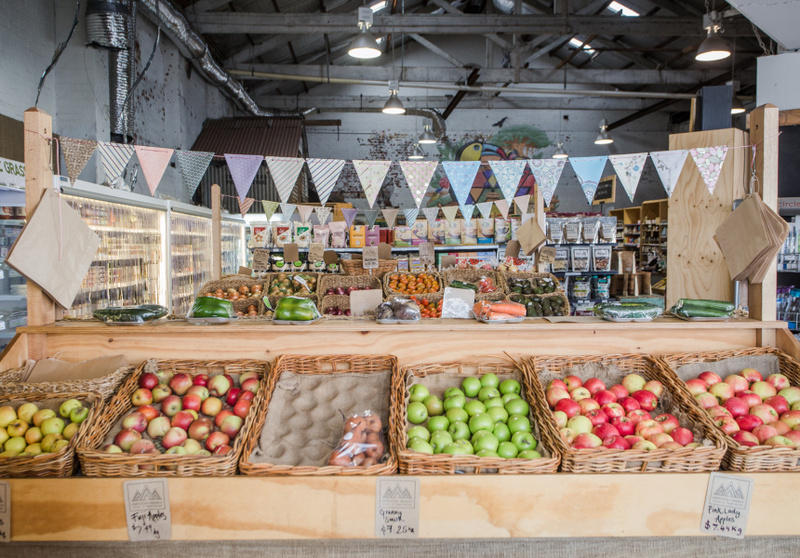 Suppliers include Belmore Meats, Dingley Fresh Fruit and Vegetables, Coyo and The Wild. A range of natural supplements and cleaning products are also for sale. At the in-store cafe you can enjoy organic fair-trade coffee and other drinks (try the peanut-butter smoothie); and a rotating selection of nourishing meals. It’s all organic and nutrient-dense, with ample raw, gluten-free and vegan options.